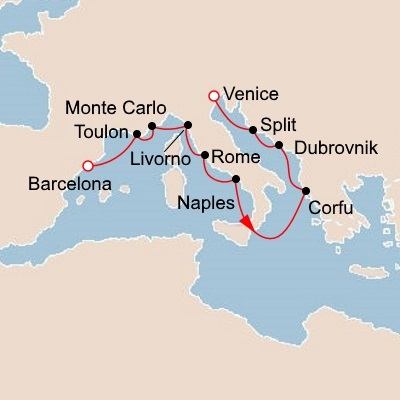 Set sail from Barcelona on your 12-night Mediterranean Odyssey cruise to Venice. Expand your horizons on comfortable, state-of-the-art ships, intimate and thoughtfully created by experienced nautical architects and designers to enrich your interaction with your destination in every way. Each sister ship carries only 930 guests and is engineered at a scale that allows direct access into most ports. The fleet features understated elegance and modern Scandinavian design. Size including veranda: 270 sq. ft. Size including veranda: 757+ sq. ft. Size including veranda: 405 sq. ft. Size including veranda: 338 sq. 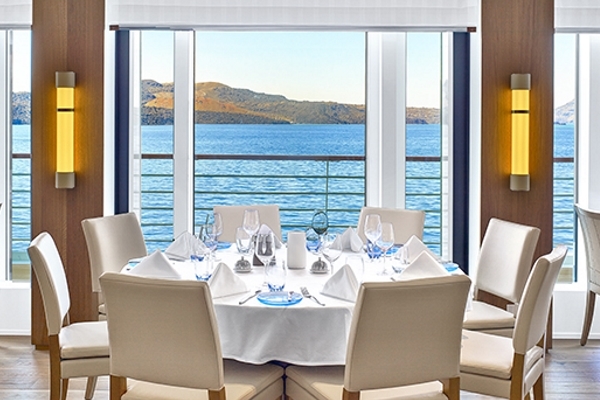 ft.
Viking Ocean Cruises offer many exciting dining choices, each with breathtaking views. 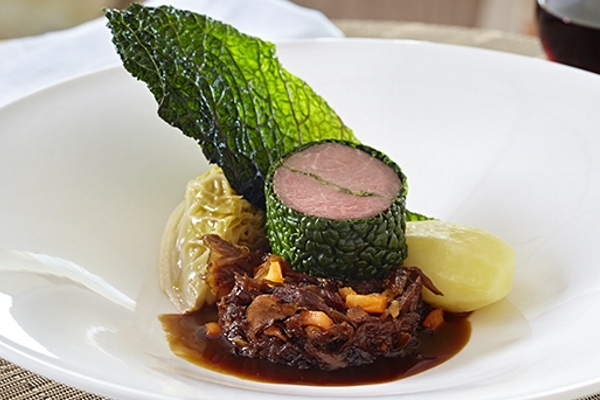 From sophisticated regional dishes and chef’s selections with wine pairings to rustic Italian cuisine and global fare. The Restaurant. The main dining venue, The Restaurant offers the highest onboard dining experience amid a clean and streamlined Scandinavian design. In an open and inviting atmosphere, breakfast, lunch and dinner are served with sweeping exterior views through all-glass walls—so your destination will always be close by. The menu includes regional cuisine and always available American classics enhanced with locally sourced ingredients, so you can explore new cultures through food. Manfredi's Italian Restaurant. Manfredi’s offers the best of Italian cuisine, whether the farm-inspired heartiness of Tuscany or the famed flavors from the heart of Rome. Subdued, ambient lighting creates a warm and welcoming air in this traditional restaurant, recalling Italy’s beloved trattorias and a rich European heritage. Chianti by the carafe, freshly prepared pastas and generous antipasto are accompanied by fresh seafood and a true spirit of abbondanza. This restaurant’s private dining room provides an opportunity to have an intimate meal with family, business colleagues or newfound friends. The Chef's Table. The sommeliers and culinary masters at The Chef’s Table create the perfect pairing of food and wine. During a multicourse tasting, they pour select vintages and serve thoughtfully prepared dishes made for each other. Drawing on the grapes and spices that have been enhancing gastronomic pleasures for centuries, your expert hosts will enlighten every sip and forkful with fascinating commentary as you experience a thrilling synergy of aromas and flavors. This restaurant’s private dining room provides an opportunity to have an intimate meal with family, business colleagues or newfound friends. World Café. 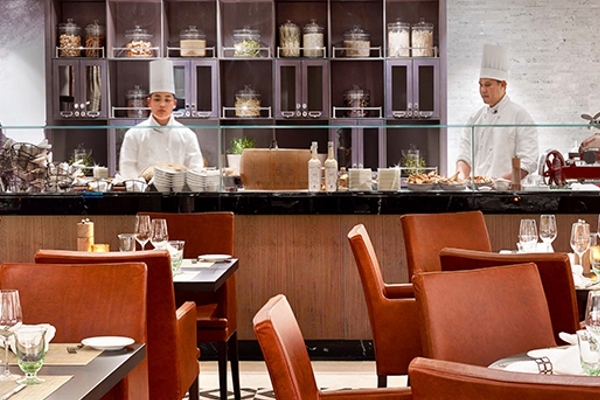 With live cooking, open kitchens and buffet-style meal service, the World Café provides a vibrant interactive experience and a wide range of international flavors in a casual environment. 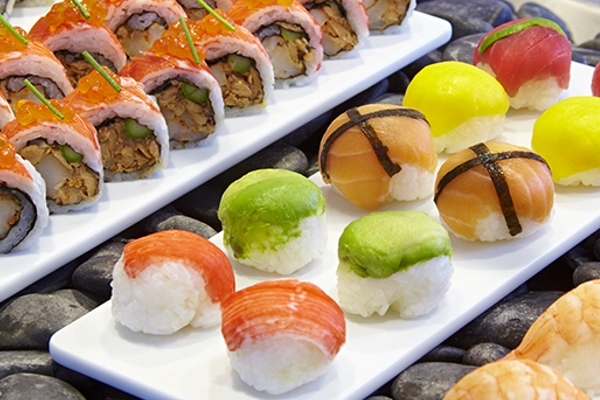 Guests can choose their favorite foods—from the deli, the pasta or wok station, sushi bar or dessert station—prepared and presented in a stylish setting. Dine indoors or al fresco at shaded wood tables on the Aquavit Terrace, both offering stunning panoramic views. Aquavit Terrace. 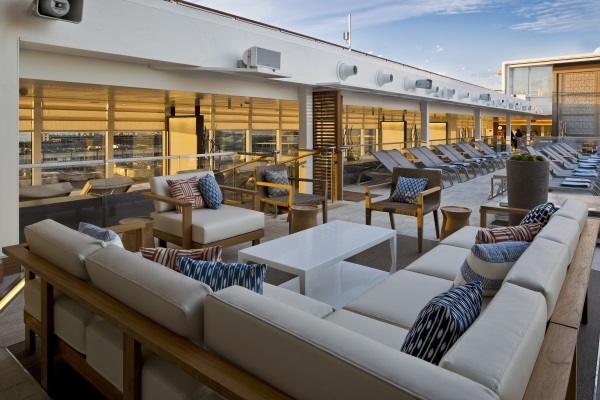 In the spirit of the revolutionary outdoor settings of Viking's award-winning river ships, Viking Ocean Cruises have created the Aquavit Terrace, providing more al fresco dining experiences than on any ship at sea. Located outside the World Café at the stern of the ship, the inviting terrace is transformed by night into a magical space where your destination is your dining room. By day, it’s a great place to dine and relax in the lounge area around the Infinity Pool. Mamsen's. Located in the Explorers’ Lounge and named for “Mamsen,” the Hagen family matriarch, this venue offers Norwegian specialties for breakfast, lunch, an afternoon snack or evening treat. The array of menu items includes Scandinavian pastries and cakes; waffles, according to Mamsen’s recipes, served with either Norwegian goat cheese or jam; salmon gravlax and other open-faced sandwiches; and late-night split pea soup to warm the heart and soothe the soul. Wintergarden. 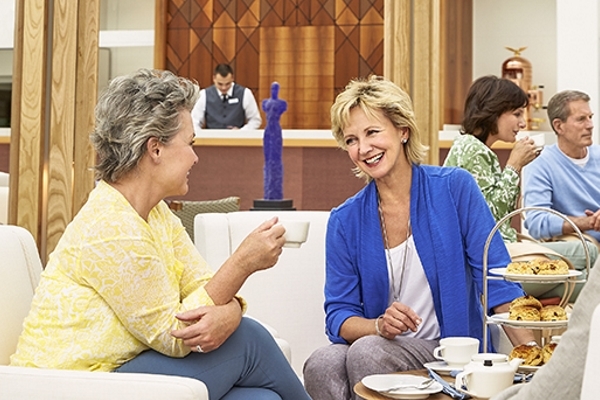 Late afternoon tea—that hallmark of English civility—is served in the Wintergarden. 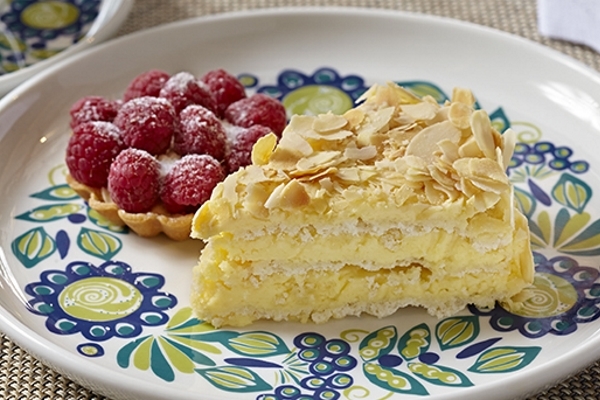 Freshly made finger sandwiches, richly textured scones and decadent desserts are presented on bountiful tiered carts, all from the kitchen of Viking's masterful pastry chef. In this elegant space under a canopy of Scandinavian trellised wood, you can participate in a calming tea ceremony or indulge in an afternoon tea service while enjoying the soft strains of a string quartet. With a park-like setting and panoramic views, it’s an inspiring respite after a day of exploration. Pool Grill. 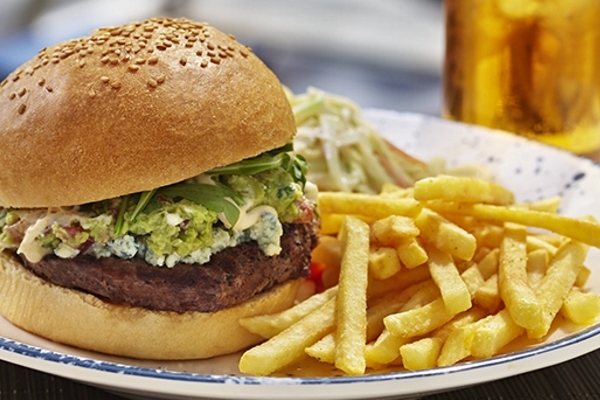 For a relaxed lunch or an afternoon snack, the Pool Grill serves casual fare prepared to order. Or for a lighter meal, a small salad bar is available. A condiment bar lets you customize your meal to suit your tastes with sides from grilled mushrooms to savory red-cabbage slaw. The poolside atmosphere welcomes lounging and leisurely dips in the water; the nearby Pool Bar offers regional cocktails. Room Service. 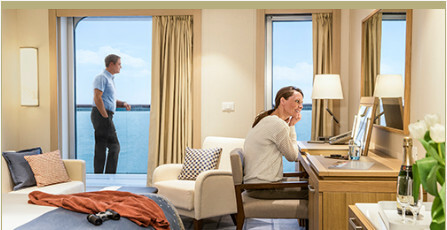 Care to enjoy a quiet dinner in the comfort of your stateroom? A midnight snack? Or perhaps breakfast in bed? 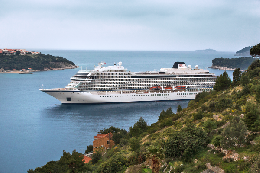 For your convenience, Viking Ocean Cruises offer 24-hour room service, 7 days a week, with many of Viking's signature dishes to choose from, such as the Chairman’s favorite Norwegian poached salmon with cucumber salad or Viking's classic Caesar salad. The Kitchen Table. Immerse yourself in local culture and cuisine on an interactive culinary journey. At Viking's onboard cooking school, experience firsthand how Viking Ocean Cruises ships’ world-class chefs bring distinct, local flavors from market to table. On sea days, you’ll learn to cook dishes highlighting an upcoming destination and take home recipes so you can savor the flavors at home. On port days, you’ll handpick ingredients at a local market then learn how to prepare regional dishes and create elegant presentations for three courses. The Kitchen Table is a one-of-a-kind optional opportunity to shop, cook and eat with the masters. Inspired by the trade routes of Vikings, the Explorers’ Lounge is the ideal place for guests to share their discoveries over an aquavit or a craft beer while sampling fine Scandinavian fare. Central to the Explorers’ Lounge is Mamsen’s, a casual gourmet deli inspired by Norwegian cuisine, from smoked salmon to open-faced sandwiches and locally sourced charcuterie and cheeses. The daily “Waffle Hour” provides mouth-watering samples of the beloved treat. The ideal setting for relaxation and conversation, The Viking Living Room draws guests together. 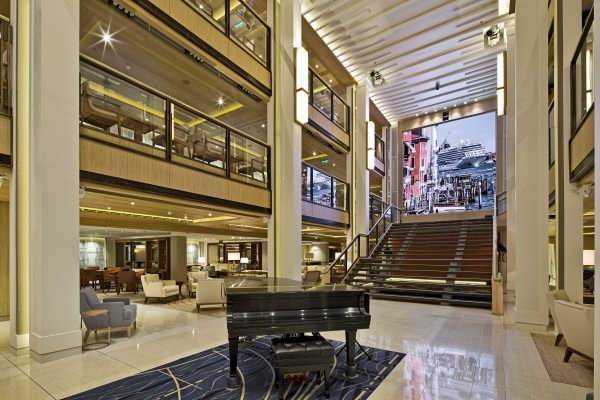 Spacious seating, melodic piano tunes, live entertainment and planned activities foster rich camaraderie. And its well-curated Viking Library informs even the best-read traveler. 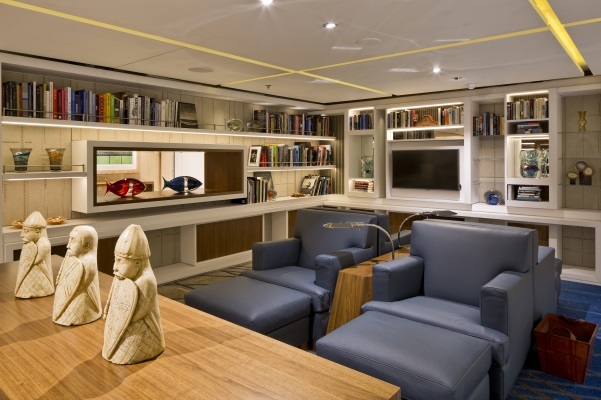 Adorned with nautical touches from Viking days, including the clinker-built bar inspired by ancient longships, it is the most inspired living room at sea. Enjoy a cocktail in the Viking Bar, which is located on the ground floor of the atrium. When you yearn for serenity, there is no better place on ship than a visit to the Wintergarden. This charming, airy space around the main pool is perfect for relaxing in clean, uncluttered Scandinavian-designed environment. Even here, our focus is on enrichment, as this is the place to witness a tea ceremony, or indulge in an afternoon tea service, complete with hand-selected teas, finger sandwiches and pastries. 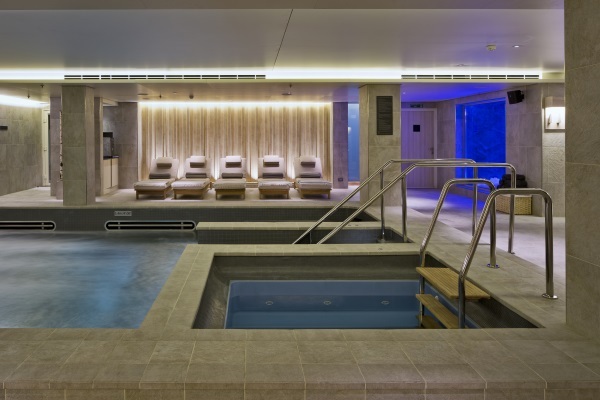 The heated Main Pool and hot tub provide a calming oasis in any weather. 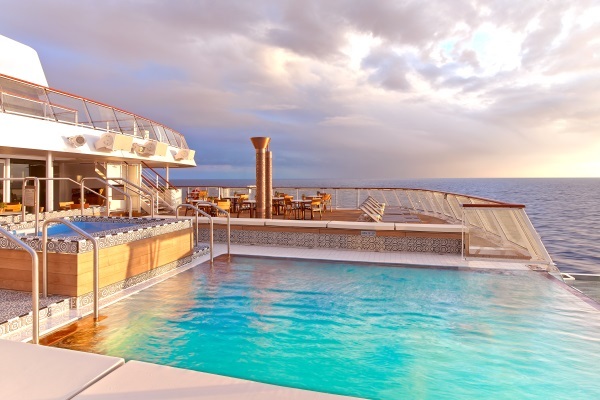 The retractable roof allows for any-time swims and soaks. 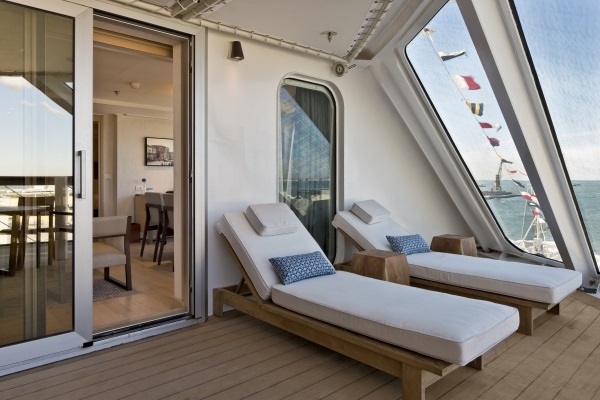 A haven for relaxation, it’s a fun spot to socialize during a day at sea. It’s been thoughtfully designed for lap swims, leisurely wading or enjoying a drink poolside. The Infinity Pool, one of the first of its kind at sea, gives you a sense of swimming in the heart of your destination. Its glass backing is infused with the spirit of exploration. This relaxing setting also offers an inviting hot tub. 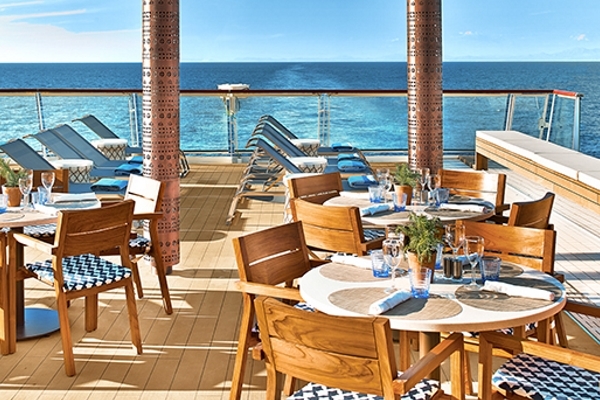 Relax on the teak deck, which transforms into the Aquavit Terrace in the evening. The pool’s shimmering surface lends a peaceful backdrop to this al fresco dining option. 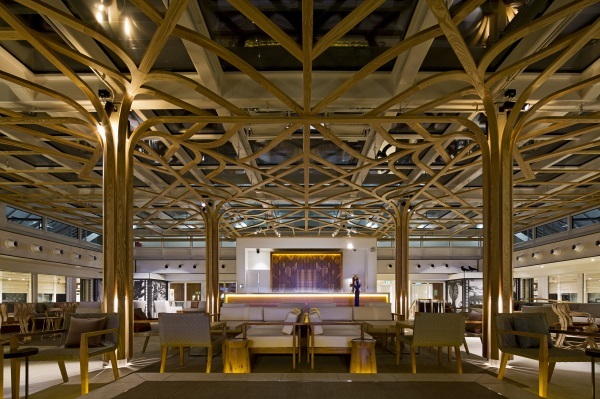 Relax in the soaring atrium and mingle with like-minded guests as you enjoy a cocktail from the Viking Bar. 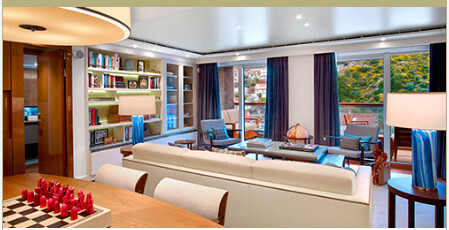 Viking Cruises also reinvented the spa experience; drawing upon the holistic wellness philosophy of Nordic culture. To stimulate your circulatory system visit our snow grotto where snowflakes gently descend from the ceiling through chilled air, then invigorate yourself in the sauna, following a centuries-old Nordic tradition. 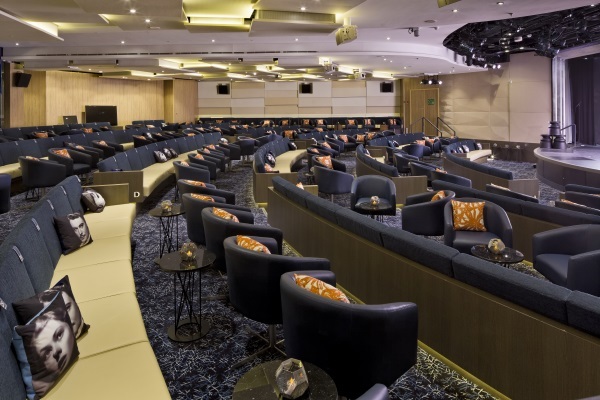 The Theater, features live performances that bring you closer to the culture of our destinations. Sometimes, the destination connects you to exists solely in the realm of an otherworldly theatrical journey, as is the case with beautifully themed shows. The curtains of destinations with cinema in two movie theaters, which show first-run films you have not yet seen as well as destination-driven cinema such as "Room with A View," "Roman Holiday," or "Skyfall." And because the intellect also needs to be stimulated, our theaters will always be buzzing with fresh, new insights from our port talks and onboard lectures that feature the history, art, and culture of our destinations. 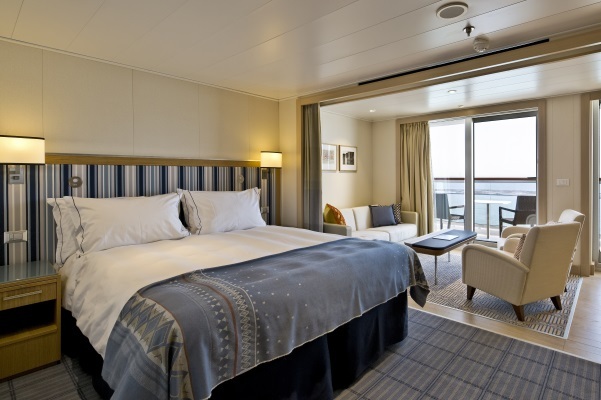 And to explore the world in comfort, Viking Cruises are in favor of soft and spacious sofa seating. On certain cruise lines our website will display "From" prices. 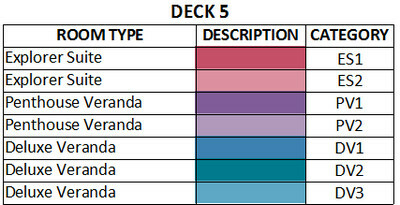 These are based on the twin share lead in categories on each ship, i.e. lead-in interior, lead-in oceanview and lead-in balcony. Should you wish to enquire about alternative cabin types/occupancies please enquire with us. These prices do not display live prices or availability therefore we will need to check if they are still available and come back to you with a detailed quote. A non-refundable cruise/tour deposit of $500 per person (cruise only) or $1,500 (cruise & air) is required to secure a confirmed reservation within 3 days of making the cruise/tour reservation or your reservation will automatically cancel. An additional Online Republic deposit of $50 per person is also payable. When more than one cruise is booked, deposit and payment policies apply per cruise. Full payment is due no later than 120 days prior to your cruise/tour departure date. Notice: Promotions or offers may have different payment terms, please refer to the offer conditions specified when making the booking. 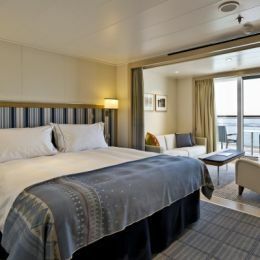 Shipboard gratuities for shipboard personnel are included in your cruise fare on Viking Cruises Europe cruise programs. Additional tipping is at the guest’s discretion. or/ changing to a promotional fare. Full Fare is defined as the full cost of any cruise/tour, land or air component purchased from Viking. Please note: Promotional fares may have different cancellation policies. Please ensure you check the conditions at the time of booking. We will not consider a cancellation until we have received, during office hours, a written cancellation notice signed by you. Once a cruise booking has been accepted and a deposit paid, all changes are subject to a $30 charge per change. See prior section under Cancellation Policy for additional details on situations which are classified as cancellations rather than changes. Online Republic may choose to apply additional fees. 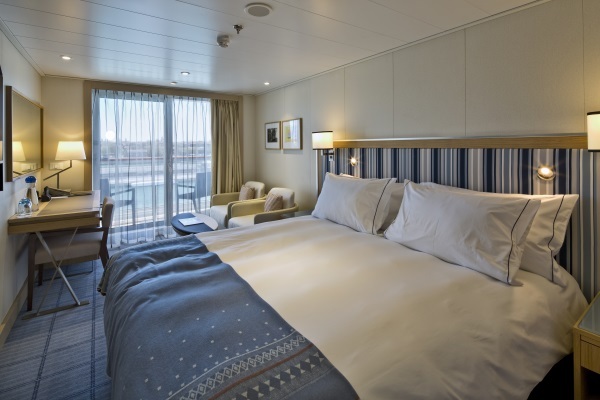 When you purchase international airfares from Viking Cruises, airport transfers are included in your air cost if air arrival and departure dates coincide with the first and the last day and destination of the cruise/tour itinerary. If guests arrive and depart on different dates to these or have independently arranged flights, then airport transfers are not included. There is no cash refund for unused airport transfers. Guests who are not arriving or departing the destination on the first and/or the last date of the cruise/tour itinerary or who have independently arranged flights will have to make their own way to the hotel/vessel at their own expense. Passports, visas, vaccinations and any other travel documentation are your sole responsibility. All guests must have passports valid for six months following disembarkation and necessary visas when boarding. Guests are advised to check with their travel agent or the Australian or New Zealand Consulate Service to determine which documents they must obtain. If incorrect documents are obtained, guests will be unable to participate in particular shore excursions and may be denied boarding and/or entry into certain countries. Note: Due to airline security measures, your passport name must match your airline ticket name or you may be denied boarding. 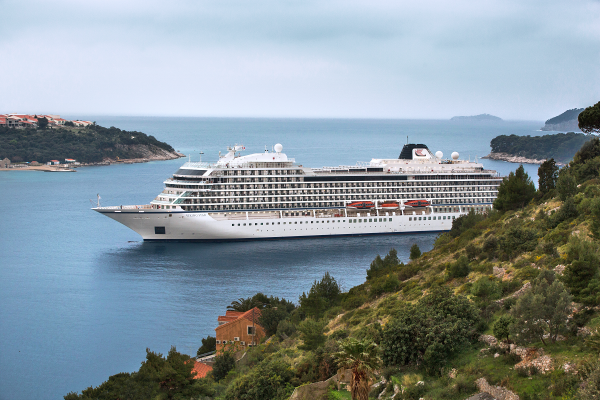 Viking Cruises accepts no responsibility for obtaining required visas or for advising guests of passport, visa or other immigration requirements. 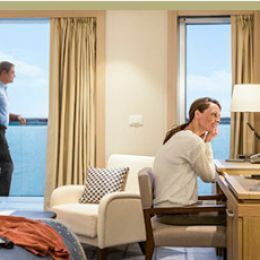 Viking Cruises strongly recommends that you obtain the appropriate travel insurance when you pay the deposit on your booking to cover any unforeseen circumstances that may occur before or during any cruise or associated travel. If you do not purchase travel insurance you may not be able to recover any charges associated with the cancellation or unforeseen circumstances. You must ensure you are aware of any health requirements for your travel and ensure that you carry all necessary vaccination documentation. Guests are advised to check with their doctor or travel agent to determine if any vaccinations or health documents are required. Due to the nature of our cruise itineraries, Viking Cruises does not maintain facilities or services for children aboard river cruise vessels. On all cruises and cruise journeys, minors under the age of 18 must be accompanied and share a stateroom with a parent, legal guardian or other responsible adult over the age of 21. We reserve the right to limit the number of minors under the age of 18 years on board. 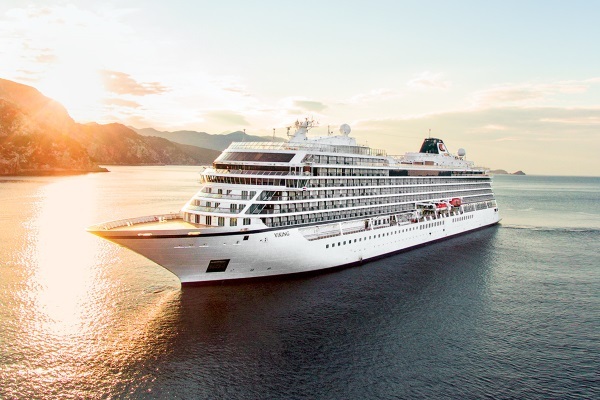 You must report any disability requiring special attention while on your Viking Cruises itinerary to Viking at the time the reservation is made. All vessels and motorcoaches are equipped to European standards. Most transportation services, including the vessels and motorcoaches, are not equipped with elevators or wheelchair ramps. Viking will make reasonable attempts to accommodate the special needs of disabled travelers, but is not responsible in the event it is unable to do so nor is it responsible for any denial of services by vessel operators, air carriers, hotels, restaurants or other independent suppliers. We regret that we cannot provide individual assistance to a holiday participant for walking, dining, getting on and off vessels, motorcoaches and other vehicles, or other personal needs. A qualified and physically able companion must accompany travelers who need such assistance and must assume full responsibility for their well-being. The guest assumes the full risk of use and of any prohibitions imposed by vendors. Motorized scooters are not typically suited on international cruises and cannot be accommodated. Please advise the Uniworld reservation agent of specific dietary considerations and we will do our best to accommodate your request. Please also indicate your needs when you complete the Passenger Information Form. either Viking Cruises, Inc., Viking River Cruises Australia Pty Ltd trading as Viking Cruises nor the owners or operators of the vessels identified in this brochure shall be liable for delay or inability to perform any condition in this brochure or any part thereof caused by or arising out of strikes, lockout or labour difficulties or shortages whether or not the carrier is party thereto, or explosion, fire, collision, standing or foundering of the vessel or breakdown or failure of or damage to the vessel or its hull or machinery or fittings howsoever and wheresoever any or the same may arise or be caused, or civil commotion, riot, insurrection, war, government restraint, requisitioning of the vessel, political disturbance, acts or threats of terrorism, inability to secure or failure of supplies including fuel, Acts of God, or other circumstances beyond their control. Itineraries are subject to change and may need to be altered or cancelled specifically because of water levels or wind factors. Prices advertised are subject to change with or without notice. Adjustments for currency and/or fuel fluctuations may apply. Optional shore excursions/tours/concerts, excess baggage charges, drinks, beverages and meals not included in the package are additional costs to the guest. Viking River Cruises Australia Pty Ltd trading as Viking Cruises is not responsible for omissions, printing and/or presentation errors and reserves the right to make corrections as required. 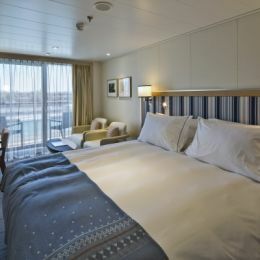 Check www.vikingcruises.com.au for the most up-to-date prices, terms and conditions.